Page rankings are a constant concern for online marketers. Audiences simply can’t find your content if it’s not returned in a Google search using relevant keywords. While there are many questionable techniques that may seem to yield results, it’s important to keep your page promotion clean. 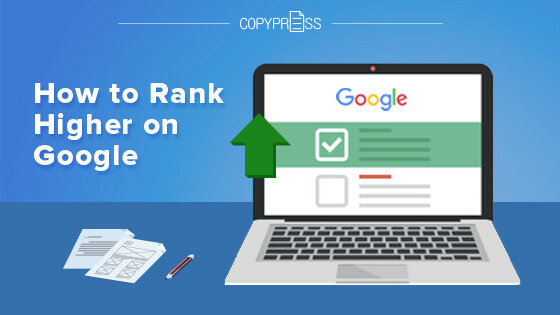 Align with Google’s values and goals for the best chance of creating a high-ranking page that’s made to hold its position, with no fear of future penalties. Your website should have a purpose that goes deeper than simply driving sales for your company. What’s the value to your visitor? Does your page help them learn to better use your widget? Perhaps your site educates users on the hazards of neglecting to schedule the maintenance services you offer or the potential pitfalls of hiring unlicensed technicians. Carefully consider who your visitor is and why they’re headed to your web page, then make sure that your site can solve the guest’s problem while he or she is there. The problem might be as simple as finding a savory recipe for your cast iron cookware or as complex as diagnosing an engine problem and determining the need to visit a mechanic. Offering something of value is essential to ultimately boosting your page rankings. Take a meticulous and detailed approach to your page creation. While content is king, there are many other elements that you need to feature on your page to make sure the content is as accessible as possible through a search engine like Google. When researching the highest-ranking pages on Google, Matthew Barby found that pages got a higher ranking when they used a short page title around eight words in length. More then 15 percent of pages with number one rankings had a target keyword in the title. It helps to utilize keywords in your URL as well. Pages ranked first on Google had an average URL length of just 59 characters, and those with a target keyword in the URL typically ranked higher. Take time to polish your metadata and include an informative description and six to eight relevant keywords. Include alt tags for your images and video media to assist Google in evaluating the content available on your page. Though it takes extra time to build in these elements, the boost in rankings is well worth the effort. A strong content marketing strategy features posts that are both relevant and frequent, as these elements are important to Google. Planning ahead is crucial so that you can incorporate features like a blog series with multiple parts or timely posts that align with important events. Tweak your marketing strategy with each new campaign to ensure that you’re always on target with your CTA, audience profile, and other critical factors. Organized social promotion is crucial for visibility. Content that’s shared at peak traffic times will have a better chance at getting the organic attention that Google values so highly. Craft your content in such a way that it promotes natural engagement. While you can always draft an informative post and hope for a share, you may increase your chances if you weave a CTA into the content that promotes the value of sharing the piece. Encourage thoughts and discussion in the comments section and start the conversation by wrapping up your article with a few insightful questions and an invitation to engage. Develop promotions that make a direct request for reader engagement. Consider hosting a photo or video contest. Get customers engaged in naming your next product or helping you develop a new flavor. Lay’s is well known for its annual “Do Us A Flavor” campaign, which allows customers to submit their own fresh flavor ideas for the next product line. This type of promotion pushes natural shares, as participants will want to boast about their entries, naturally boosting attention for your site. It can be discouraging to find that some of your top competitors are enjoying prime Google page rankings despite spammy link profiles and obvious black hat tactics. Don’t succumb to the temptation to join their ranks. While it’s true that some pages have thus far stolen past Google’s vigilant eye for disreputable link building techniques, this doesn’t mean that these are safe or reliable practices to use. Focus on white hat link building strategies to boost your Google rankings. Many are simply black hat techniques with a twist. Reciprocal linking is still a valid way to increase page rankings if it’s done on a smaller scale with link partners that offer true value. Utilize relevant web directories rather than sloppy directories with no clear focus. 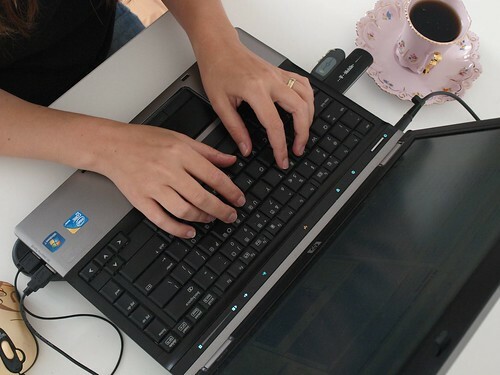 Do include keywords in your links, but don’t overstuff to the point of distraction. Channel your content funds away from buying unethical votes, reviews, and backlinks and instead invest in a content creation strategy that promotes real customer engagement. With the right approach, you can boost your Google page rankings without resorting to questionable methods that will garner a penalty if caught. Stay consistent and frequent with your content generation for long-term success with your site.